It is Citrus season here. I still can't get over the fact that where it is Winter everywhere else, here my citrus trees are going crazy. My lime tree is popping out 12 limes a day. 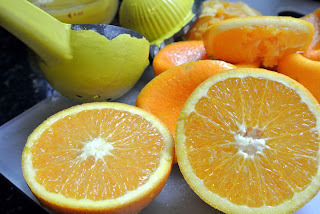 My Orange tree gave me 12 ripe oranges over the weekend and my lemon tree is at about 4 lemons a day. My friend was over this weekend and we were saying how nice it would be to be able to fully use the orange. Not just the juice and the flesh. 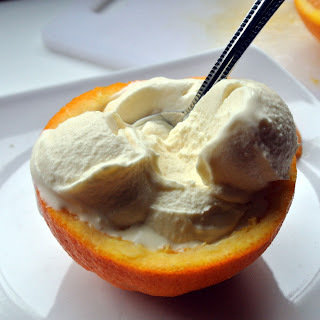 So I started dwelling on what I could serve in the orange to use it like a bowl. My mind kept going back to when I order Orange dreamsicle drinks from Jamba juice. Something about having the orange, cream and vanilla together that makes it amazing. It turned out to be the perfect thing to fill the oranges with. My husband went crazy. He raved on and on about the ice cream and even said the bowl made it extra special. I hear a lot from Women that they are discouraged that their man doesn't plan anything romantic. Men learn by example. Plan a trip to his favorite place. Plan details all by yourself. He will love the feeling of being pampered and he will in turn want to plan one for you. It may take a few times. That is ok. You are still having fun spending time with your man. Put forth the effort and you will get it in return. 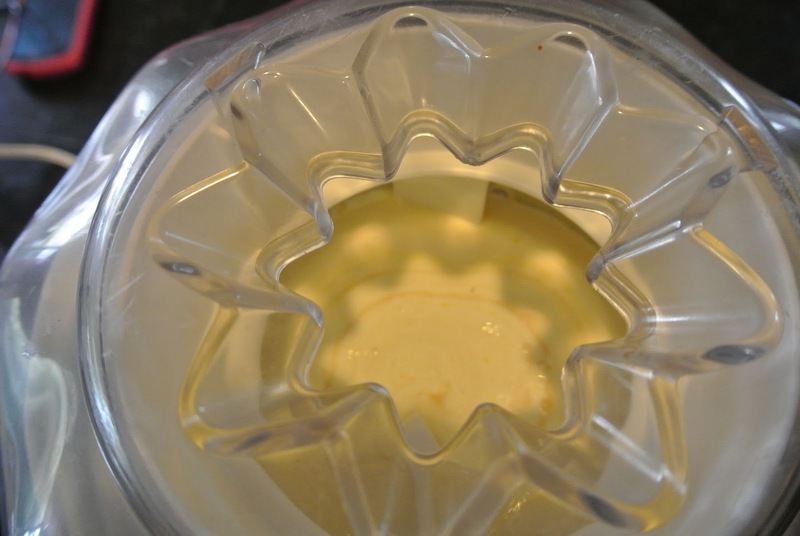 Whisk the sugar in the orange juice until dissolved and then add all other ingredients. Then pour in your ice cream maker and mix until it is frozen. It took me 8 oranges to get 2 cups of fresh squeezed orange juice. But oh my was it worth it! 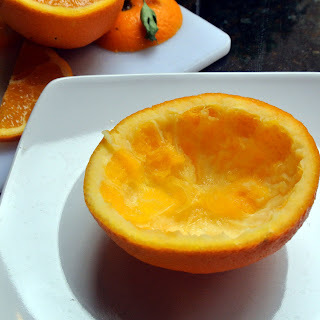 You can serve in the empty orange skins that you have from juicing. 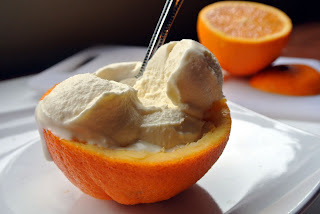 You can store the ice cream in a freezer safe container. It is a great base for a smoothy with protein powder too.